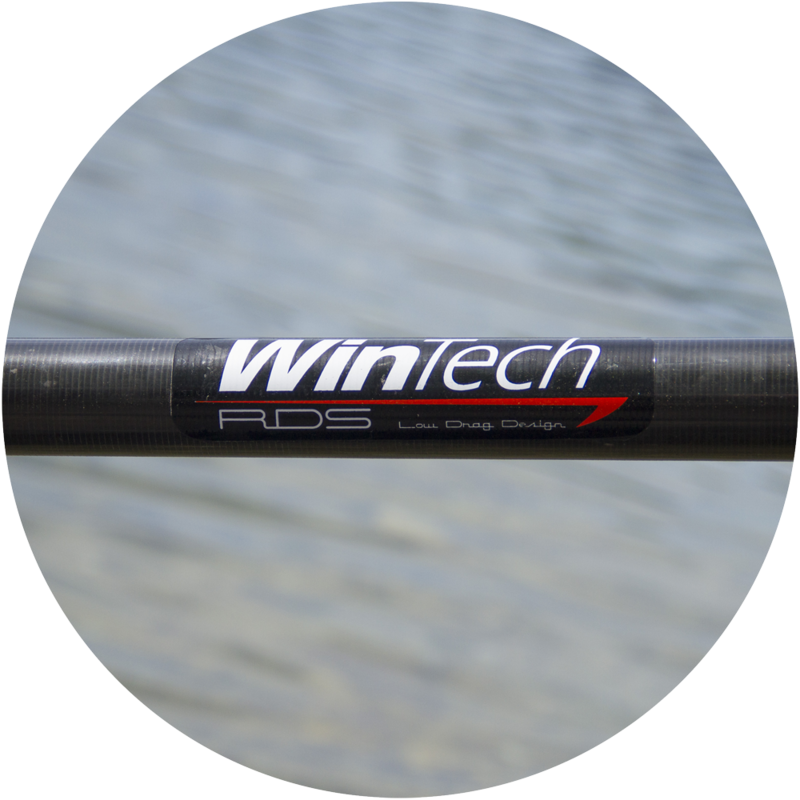 WinTech have engineered the thinnest shaft oars and sculls currently on the market. They complement a range of hydro-dynamically efficient and size specific racing boats combining to give you a vital edge in competition. 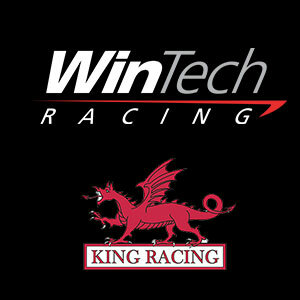 By using the most advanced materials and construction designed for lowest drag, WinTech provides the superior technology for your winning performance. 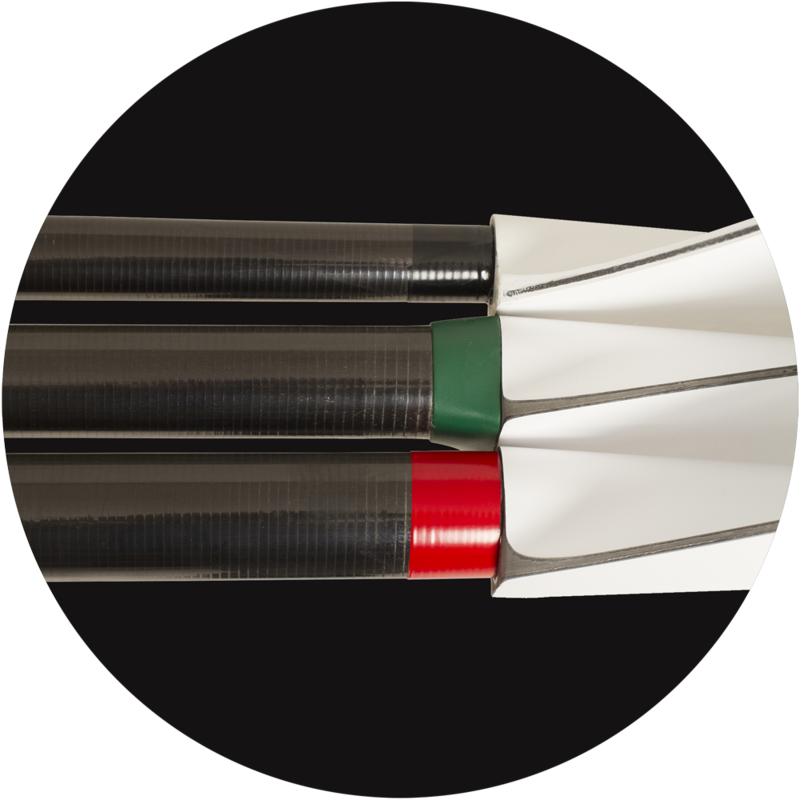 RDS shafts share the same stiffness and strength as a standard shaft through advanced High-Modulus Unidirectional Carbon Fibre, yet have approximately 33% less cross-sectional outboard area. 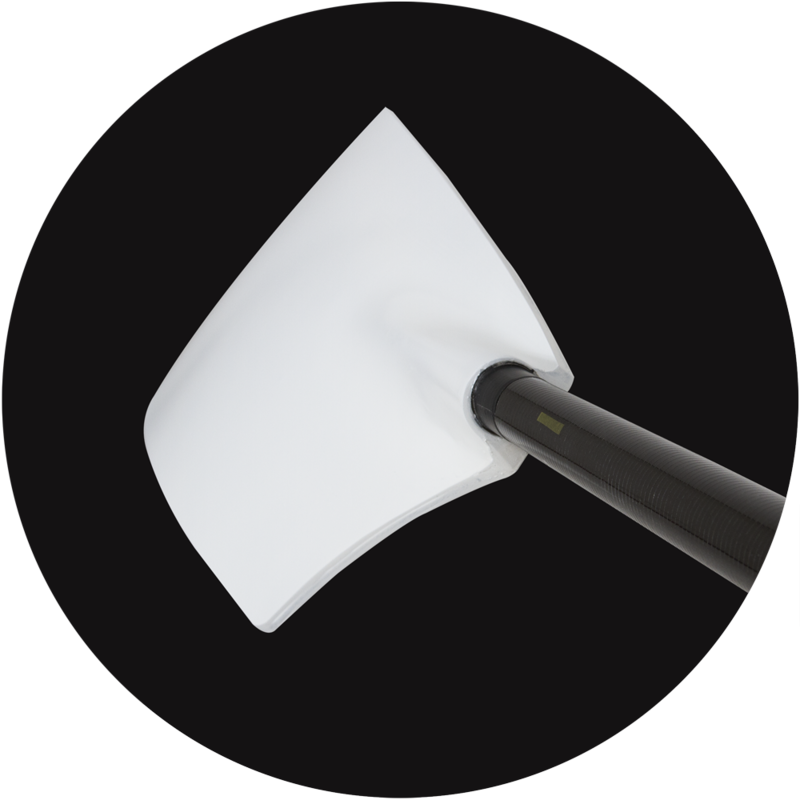 The RDS also has 10% less cross-sectional area over another well-known brand of thin oar, but more importantly, at the blade end of the shaft where it is the fastest moving during the recovery, the RDS has an advantage of approximately 27% less area. 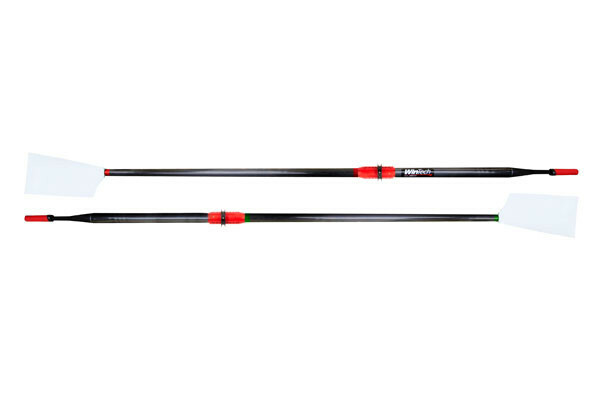 In a single scull, RDS shafts reduce the oar drag component over standard diameter shafts of the ‘system’ (i.e. boat+rigger+sculler+oars+fin) by around 30% so it is possible to gain a calculated return of almost 2.5 seconds over 2000m in zero wind conditions. But there is more! 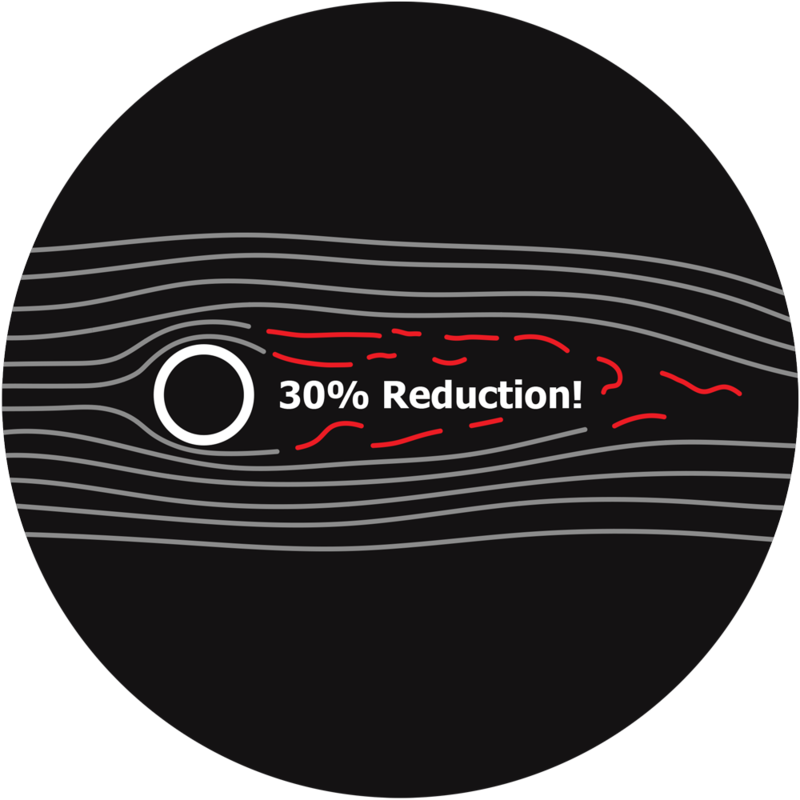 Into headwinds, the sculler is helped to maintain a higher stroke rate with less fatigue and gains, even more, advantage from reduced drag. 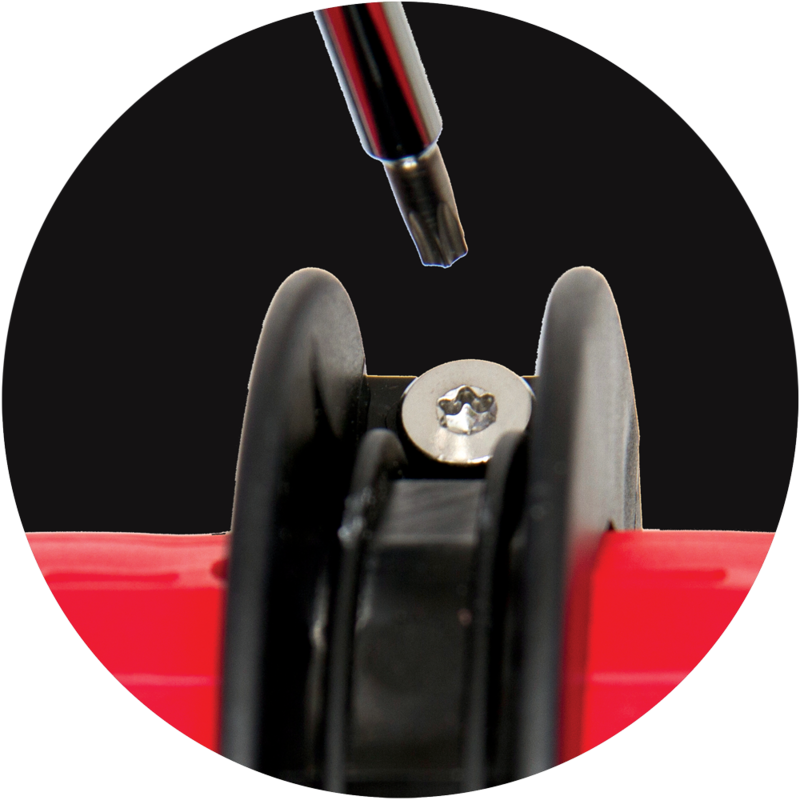 A new sleeve geometry with low wearing material provides a smooth "clunk-reducing" roll up and a positive lock with a firm connection at the oarlock during the catch and drive phases of the stroke.